OPINION. 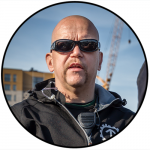 Pär Öberg comments on the term “Nazi” and explains why it’s incorrect to use it to describe the Nordic Resistance Movement’s ideology. A while ago Fria Tider wrote an article about a Nordic Resistance Movement demonstration in Stockholm. They phoned me beforehand and asked for a comment, but I explained I wouldn’t oblige until they started referring to us by our proper ideological name; that is, National Socialists, not “Nazis”. I made it clear we would be happy to cooperate with them in future if they granted us this simple courtesy. They subsequently published an article about the event entitled “38 Nazis arrested for violent attack on police in Stockholm”. I feel this warrants a response. The terms “Nazi” and “Nazism” are derogatory political epithets that were originally used against National Socialists and the NSDAP in the 1920s. They were invented by Konrad Heiden, a Jewish journalist and a member of the Social Democratic Party (SPD), a rival party of the NSDAP. The word “Nazi” was coined as a variant of the nickname given to SPD members: Sozi, a shortening of Sozialist. The equivalent Swedish term is Sosse. 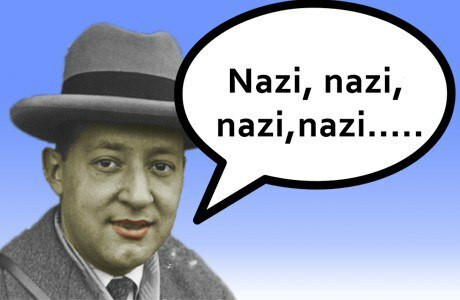 “Nazi”, however, in addition to being an abbreviation, was also an insult, and was based on the Bavarian slang term for “idiot” or “rube”, which originated from a common local given name, Ignatz. The German National Socialists never called themselves Nazis. They always referred to themselves as National Socialists, in order to emphasise the two components that made up their political designation and, therefore, their ideology. One exception was the pamphlet Der Nazi-Sozi, written by Josef Goebbels in 1926. Der Nazi-Sozi was an attempt by Goebbels to weaponize the term “Nazi” by embracing it. However, this wasn’t something he pursued further, and the tactic wasn’t adopted by the Party or its supporters. 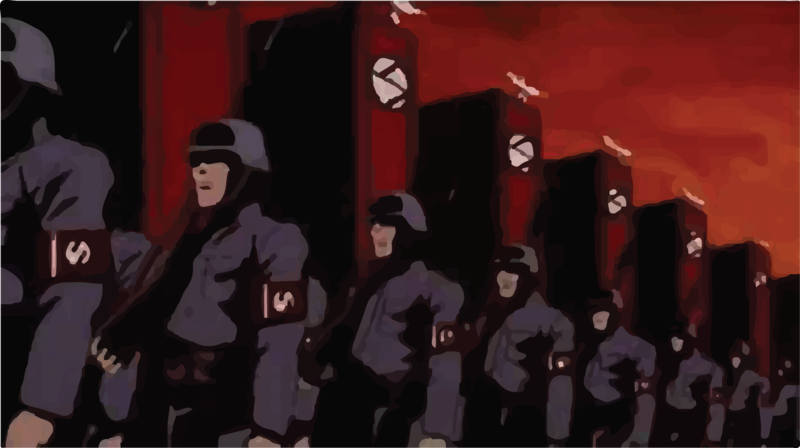 When the average person hears the term “Nazi”, they picture a character from films like Schindler’s List or Romper Stomper, or perhaps someone from one of TV4’s “documentaries” – an ice-cold psychopath who gets off on torturing people and animals, and who is just generally full of hatred for everything around him. In reality, National Socialists are the complete opposite, and many of us believe what we believe precisely because of our empathy and respect for nature. I could talk more about this topic, but instead I will suggest reading Henrik Pihlström’s explanatory article on the subject: “There are no Nazis” [Swedish]. If the media can’t even afford us the common decency of referring to our ideology by its proper name, they shouldn’t expect any level of courtesy in return. This particularly applies to alternative media organisations, who, after all, like to present themselves as “truth tellers”. One has to seriously ask why some alternative media outlets don’t respect our wishes on this matter. What’s their agenda? As far as I’m concerned, if they act the same way as the lying press, there’s no reason for them to exist in the first place. If you’re going to work against the system, you have a responsibility to act with some measure of decency.